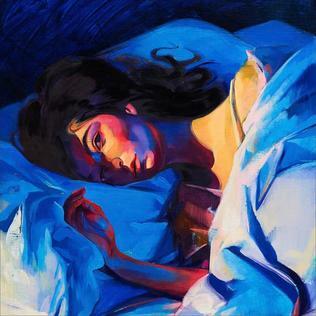 Much like her first album “Pure Heroine”, her second outing “Melodrama” takes on a clear and defined theme that runs through all the tracks. The first album was about glamourizing the life of a typical teenager, searching for the big lights and fame that everyone dreams of. Even though she’s actually reached that stage, Lorde goes back to this feeling of time and place with a record all about the trials and tribulations of relationships. In keeping with that, the album has a divergence between poppy and adrenaline fuelled songs that give it energy and then softer and more emotional and raw songs. This plays to Lorde’s strength, as her deep gravelly singing voice can carry a tune in either of these moments. Leading the charge for the energy songs is the opener “Green Light”, being piano-driven and with the most openly pop-oriented vision of all. It’s a song about moving on and has a soaring but simple chorus that’s relatable and catchy all at once. Another song that does this really well is “Supercut” – which has a similar building piano beat behind it but with quicker lyrics and a longer instrumental build to it. It’s maybe a little more scattered in its style but in a song about memories it suits quite well. The slower songs are a bit more of a mixed bag. The highlight, and easily one of the best on the record, is “Liability” – which is almost like a sad lullaby of someone who feels let down and left out by a relationship gone wrong. It feels so real each time you hear it and is one of the best vocal displays on the album with each note packing a punch. The other ones aren’t so good though, aiming in many ways to create more atmosphere rather than focus on the lyrics and the vocals. This can either be through the backing tracks being too loud (as in “Homemade Dynamite”) or simply through revisiting the themes of songs later – with “Sober” having a follow-up in “Sober II” and “Liability” having a “Liability (reprise)”. Neither of these new versions add much, and seems to be a bit of filler to make the album stretch over the 40 minute mark. The album closer “Perfect Places” manages to combine the two styles of the album into one track and is arguably the best one the entire record. It’s a slower burn about finding the elusive perfect night, with slower more reflective parts, an energy-building bridge and then another simple anthemic chorus that’s perfect for a gig closer. It’s impressive to do this well with albums twice in a row, and Lorde’s incredible talent as a song-writer and a singer with a unique and enticing voice can’t be underestimated. It’s just that she’s still figuring out which parts of her repertoire shine the brightest, but that’s pretty okay considering she’s only 20. A good album and one packed with a couple of fantastic moments, but one that perhaps overindulges in dark and moody tones at times that take a little shine off things. So, in other words, it perfectly captures life in your late teens.